1. First of all, you should have GoDaddy Hosting Account. I think you have purchased already your website Domain name and Hosting Services and Now you would like to know how to upload through c Panel. 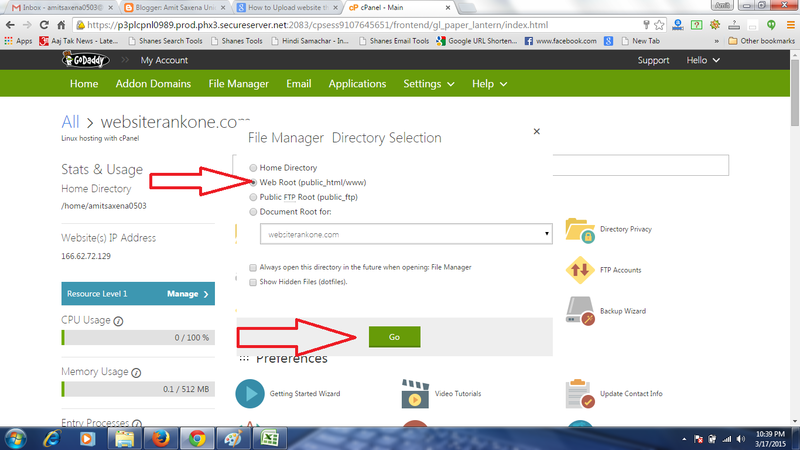 Now Log in you Log in your User Name and Password which is provided when you purchased hostName on Godaddy. 3. 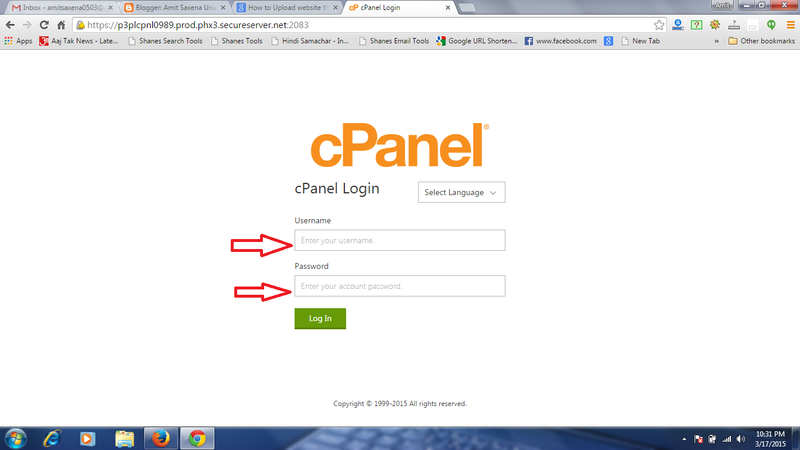 After login your Cpanel you are at the following window. 4. 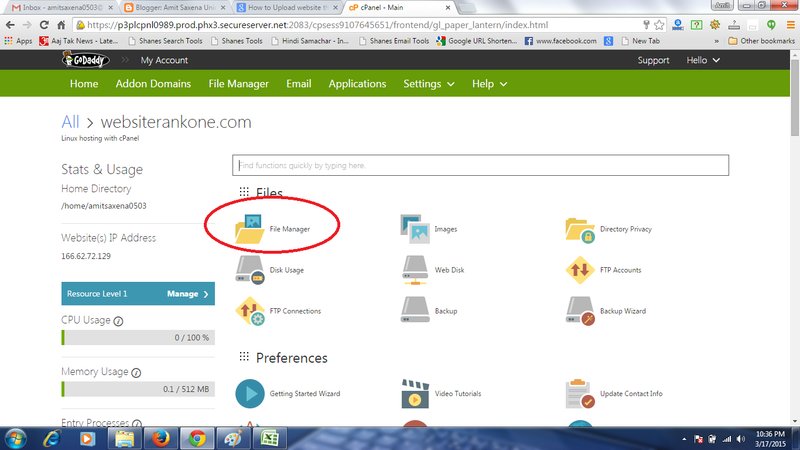 Now Click on File Manager Folder, then you are at the following windows. 5. Now Click on Go Button. After click Go Button Open automatically new windows as follows. Note: This is mine after uploading file windows. So your Window Show only Some By default file. Don't delete any file which is already. 6. Now Click On public_html button which I indicated above Image. 7. Now Click on Upload Button which I have indicated Above Image. 8. Now Open a new window automatically as the following Image. 9. Now Very Important Step before uploading website. 10 First of all, you have to create a Zip File of your whole website File. 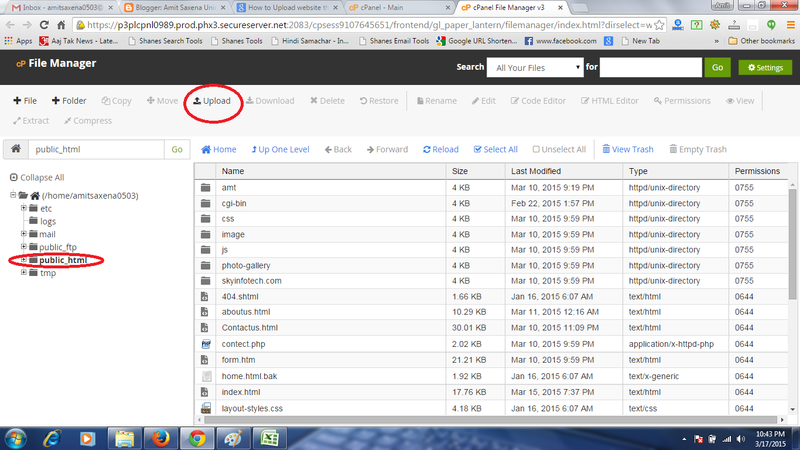 you can create Zip file online. a lot of online tolls is available to create a zip file. you can search on Google. 11. Creating your Zip file. 13. Now Choose your Zip file. 14. After Some time it Completed. 16. Now right click on Zip Folder and "Extract it". 17. 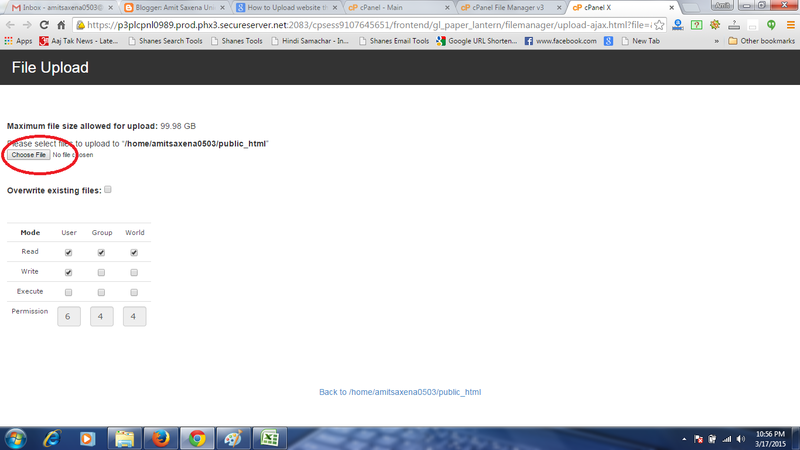 After Extracting your Zip Folder, your all website uploaded on Server. 19. Now Open a new window and open your Website. 20. Now you will see your Live Launched website!!! Wooo hoo!!! Enjoy!! If not seen then click your CTRL + F5 Button. it refreshes once again your browser. Now you can sure See your Live Website. !!! Labels: How to Upload Website Through Control Panel in GoDaddy Host?